Some of the freshest scents coming from Paris, France these days are from an artisan “parfumeur” dedicated not just to the clean purity of scents, but also to the clean purity of a perfume’s composition. The woman behind the brand is Huong Mangin, a French woman whose family originated from Vietnam. Her perfumes are created in Grasse, the historic “perfume capital” of France, and, arguably, the world. During the recent Rives de la Beaute’ held in Paris this Autumn, much discussion surrounded the topic of “Scent as Art.” To elaborate, the discussion’s central point is about creating museums of scent, whereby a perfume can be held up, enshrined and admired as the piece of art, and historical reference point, that it is. While she was designing her perfumes, Huong Mangin, General Manager of Fragrance et Beaute Francaises recalled her childhood scent-memories from Vietnam – the delicate florals, the fresh herbs and spices, the raw fragrances of her childhood and her ancestral home. When she began working with the iconic 5th generation family house of Mane, based in Grasse, in the south of France, these were some of the perfume essences she put forward in her design wishes. Master perfumers Christian Vermorel, Céline Ripert and Frédérique Terranova took their cues from Madame Mangin and went to work creating the sublime perfumes that are L’Essence des Notes. The scents they worked with in their creations are from the Citrus/Fruity, Fougere, Chypree, Floral, Wood and Oriental/Amber families. Each perfume has a top note, a heart note and an end note. The top note and the end note are always different, – the true mark of a quality perfume. Some of the original perfumes you can find in the L’Essence des Notes perfume line: Orange & Litsee, Citron & Petitgrain, Lavande & Romarin, Cardamome & Embruns, Pamplemousse & Basilic, Myrte & Bergamote, Vetiver & Patchouli, and Coriandre & Bois de Cedre. Their newest offerings are the premium range. These perfumes are: Rose de Kelaa, Oud de Kyara, and Oud d’Angkor. These are sensual perfumes that carry names to evoke journeys and the sense of escape. Another remarkable thing about these perfumes are that they are ISO 9001 certified, which is a certification guaranteeing quality manufacturing procedures. Indeed, these perfumes are so clean, they are sold in Pharmacies in France. Mangin created her perfumes so that they would be as clean and natural as possible, and have sublime, enduring scents, the combinations of which are innovative and fresh. Few things are more beautiful than Spring Flowers. 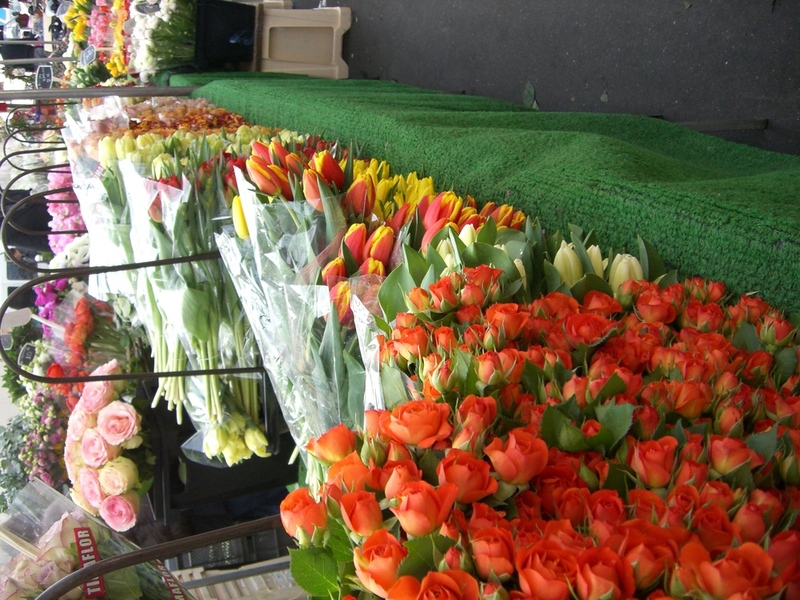 All natural, fragrant, fresh, colorful! God Bless Mother Nature…and Spring! Interview with Christian David, founder of Honoré des Prés natural perfumes from France and Greening Beauty Editor, Paige Donner. GB: 1. What was your background before launching your natural perfume line? I worked 9 years ago for DIOR in the cosmetics creation department. At that time I worked with Hedi Slimane to launch Dior Homme Dermo System. Just before launching Honoré des Prés, I worked with Mr. and Mme. d’ Ornano for Sisley and while there discovered their natural and luxury beauty. GB: 2. 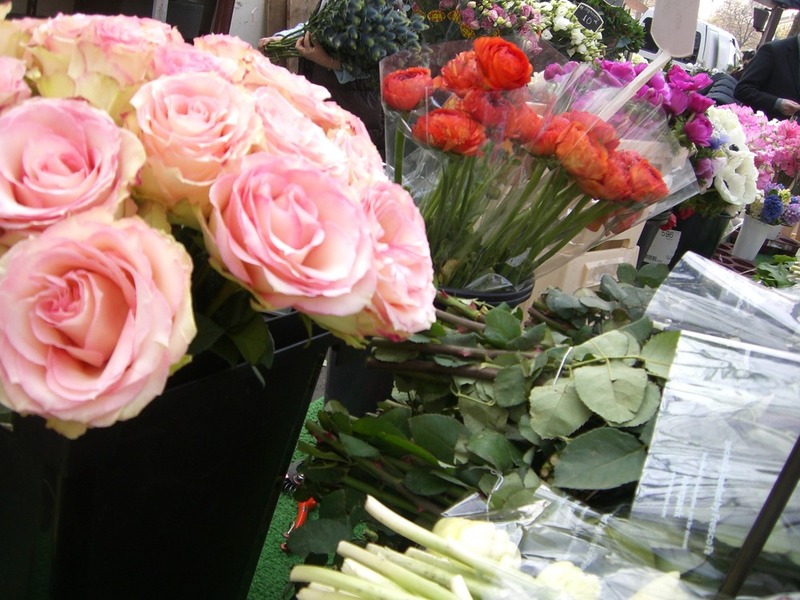 Please describe the tradition – metier – of perfume making in France. Is it something you are born into? Yes, I remember all the launches 25 years ago … like Angel, J’adore Dior … at this time we had to wait many years for a real novelty from the most beautiful houses of perfumes and it was always an event … We have had a lot of opportunity to preserve all the tradition and the metier of Perfume in France especially in Grasse. 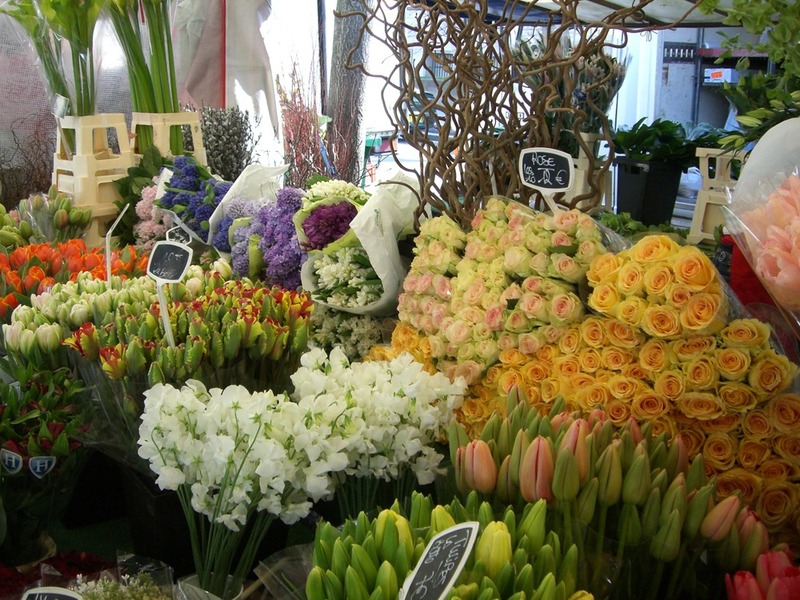 I work with Robertet , one of the most beautiful Perfume House in Grasse with such exceptional and natural ingredients … the transformation of all these beautiful and exquisite flowers is a real dream and secret ..
GB: 3. What inspired you to launch a natural perfume line? To put this secret in the bottle, to explain to the whole world that it’s at this time possible to smell a real flower in your perfume and not just a compilation of chemicals …. GB: 4. Describe the moment when you conceived of packaging your perfumes in a coffee cup? I promise you that this night, when I took my flight from JFK to paris with this Paper Cup in my hand, I was so happy and excited because I knew now that this paper cup would be a part of the future. 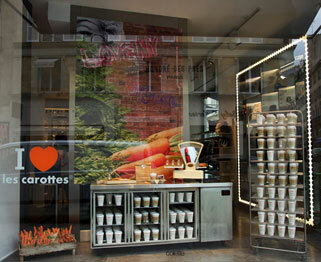 Six months later, we launched the collection at colette paris with a big Carrots Party !!!! 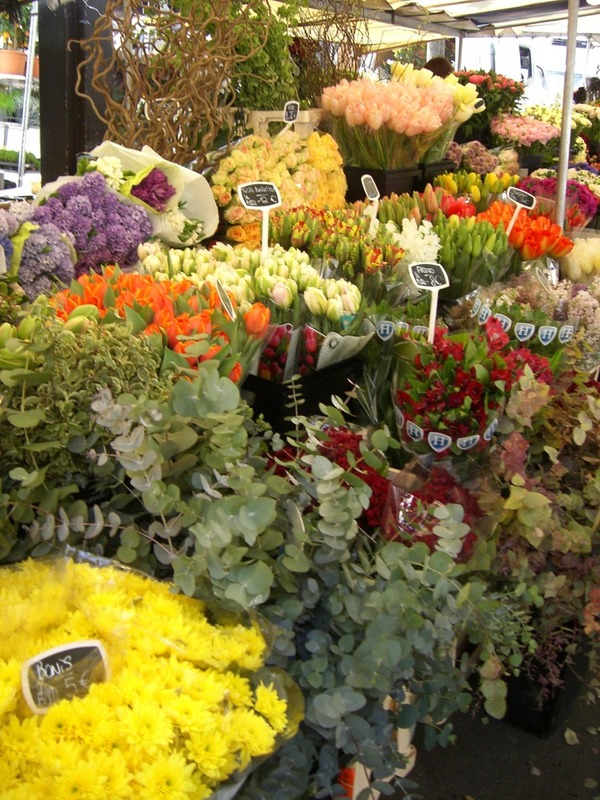 GB: 5. how do you see the state of the natural beauty market in France? the U.S.? Definitely the Future, the Trend …. and the only solution to have new perfumes that don’t look to the others …. We know that so many houses are working on it …. GB: 6. What does perfume represent to a woman, in your view? For me , there are two possibilities …. the sensuality or the intimacy ….the perfume has to be very feminine and sensual to increase the personality of women but it can be very light and intimate to propose a new way of pureness and philosophy …. these 2 opposites are for Honoré des Prés House the sensual Vamp à NY and the purity of Nu Green from the first collection. That is one of my favorites! GB: 7. It’s courageous to launch a company – of any kind – in this economy. What gave you the motivation? It’s like a dream. I absolutely don’t have the feeling like I launched a company. I just know that we write the story of Honoré des Prés and everything that happens is like a new page of the book. The perfume world is so magical !!! and the natural one will be emotional ! For more INFO or to purchase these natural perfumes, please click HERE.